In an ever changing environment more and more marine life is under threat from over fishing by a constantly growing population and the warming of ocean waters. SeaWeb have been busy over the last few months running a campaign to protect Kawakawa and Donu Fish. 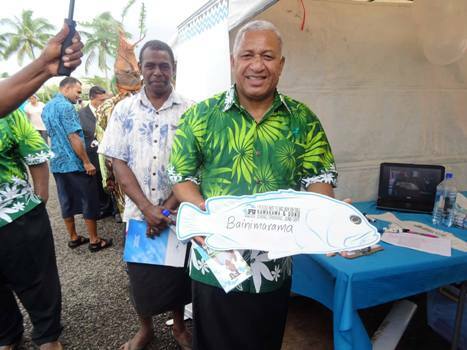 The fish carry cultural significance here in Fiji and, in villages, are generally reserved for the chief. Don’t worry, SeaWeb aren’t trying to tell us we can’t eat it any more. Rathet they are asking that we don’t hunt the fish in their peak breeding season, between June and September. The campaign has picked up some serious momentum recently with the Prime Minister and Ben Ryan both recently showing their support.